You are here: Home / Art & Technology / Art Ed Blog of the Year – Nominations Now Open! 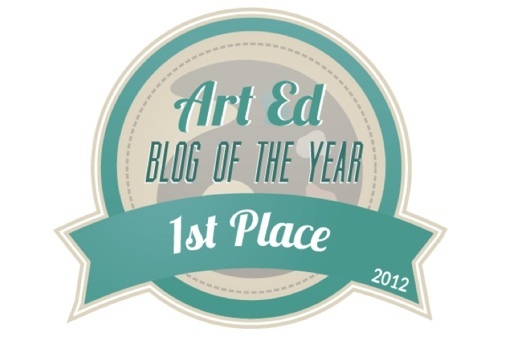 It’s time to nominate your favorite art education blog or blogs for the Art Ed Blog of the Year award. The Art of Education blog, which is an amazing resource, is sponsoring this wonderful way to recognize the art educators out there who are using the blogosphere to reflect on their practice and celebrate student creativity and achievement. Voting is open through this Friday, December 7th. Make sure to supply a link to the blog and tell them what makes the blog stand out to you. Thank you so much!!! I’m following you as well!! Your blog is amazing! Great to see both of you nominated this year! Remember, finalists will be chosen and announced Sunday, and the voting will begin next week. Good luck!